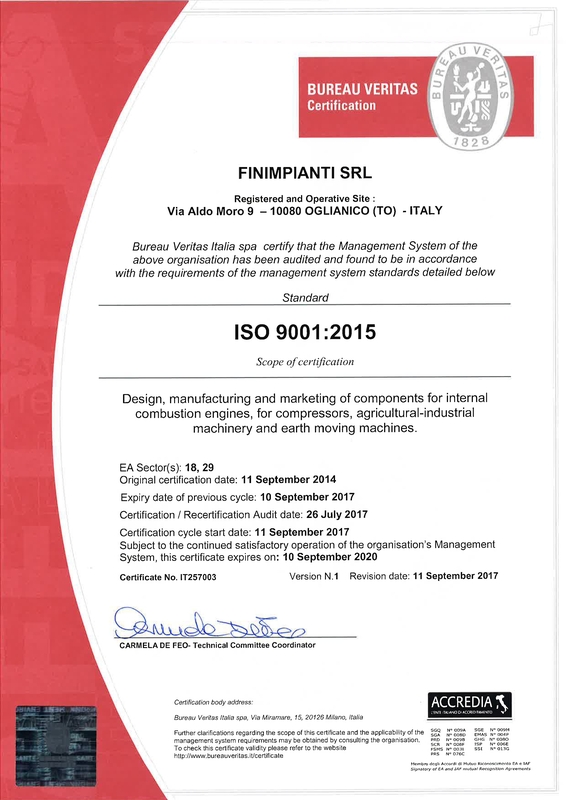 This recognition validates that FINIMPIANTI’s quality processes and systems meet specific criteria for ensuring consistent and continuously improving quality systems that fulfill customer requirements. FINIMPIANTI’s achievement of ISO 9001:2008 certification strengthens its commitment to accomplish its own company policy through a fully implementation of the Quality Management System, a continuous contract requirements follow up, a continuous performances control to meet the requested levels of reliability, to keep the customer fully satisfied and to increase FINIMPIANTI’s company image. In July 2017, certification has been updated to the norm ISO 9001:2015 – Quality Management System.